Axis is an advisory firm that connects investors and corporations with tech startups. The event was part of a road show to investors, and one of many that Axis hosts in cities around the world. The company is based in Tel Aviv, and also operates in NYC. Below I share highlights of each presenting company. They redefine how data is stored and transferred in the cloud, to maximize security and throughput. Eco-Fusion’s app personalizes digital medicine to assist in preventing and managing chronic diseases. They’re developing the next generation of visual search for mobile and connected devices with advanced computer vision tech. They are an antidote to our tendency to consult “Dr. Google” – Medivizor tailors personal health info and updates, based on the specific of each medical situation in an easily understandable and actionable way. Optibus enables a better public transportation system through efficient and real-time scheduling and control. It dovetails nicely with trends like urbanization and self-driving vehicles. Pocket Cause makes it easy to donate from your mobile device, and integrates with charitable websites. They are seeking to disrupt and improve the $26B online donation industry. It’s a global online platform where investors can access the securities of pre-IPO companies from employees, former employees, founders and other shareholders. They have developed a field-proven Saas agronomic platform that mitigates agricultural risks and improves farmer profits while giving corporations, governments and FIs ways to track and benchmark remote growers. Unsupervised machine learning tech that outwits the hackers and mimics an expert cybersecurity analyst. SecBI reduces breach response time and optimizes mitigation. 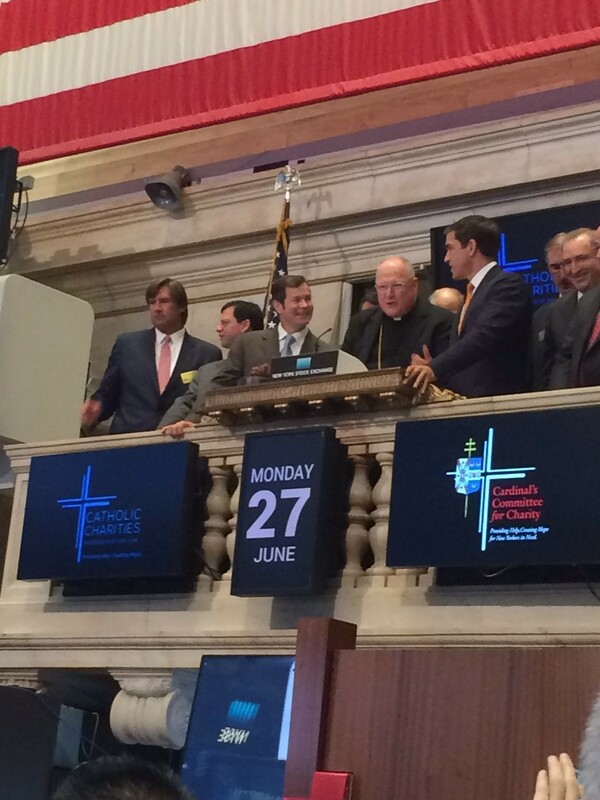 The Catholic Charities rang the opening bell; in a bit of gallows humor, one person wondered aloud whether last rites or a sermon might be more appropriate, given the concerns about the markets’ continued reaction to the Brexit vote.